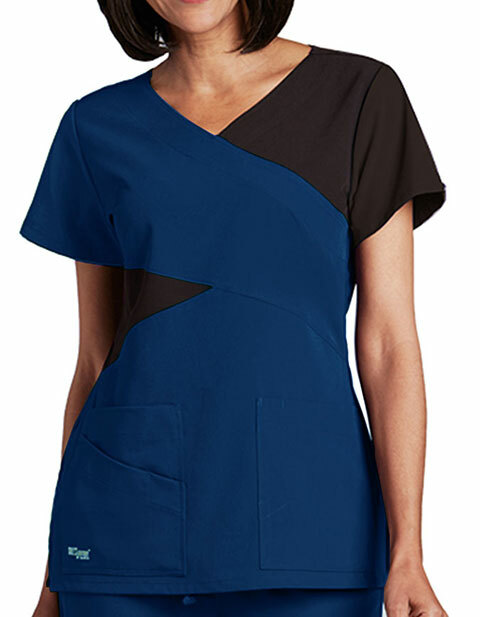 Get the stylish look with this modern contrast panel mockwrap top by Grey's Anatomy. With new contrasting colors this smart top gives a unique look by combining detailed style lines to support contrast color blocking. 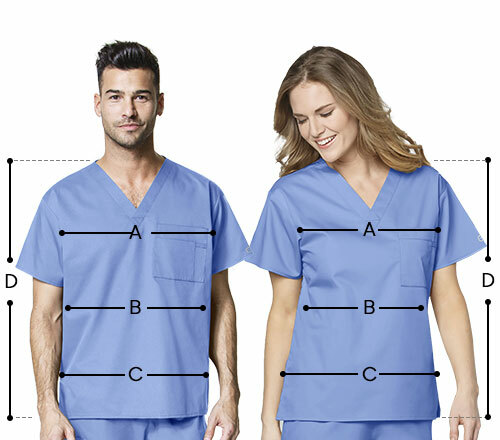 To provide you with storage space this top has extra PDA pocket and two front pockets. The combination of soft and comfortable fabric is a combination of Polyester, Spandex and Rayon.